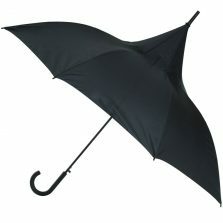 Introducing this fantastic black petal umbrella, this beautiful brolly makes the perfect gift for you or a loved one! These elegant flower umbrellas or petal umbrellas are simply stunning. 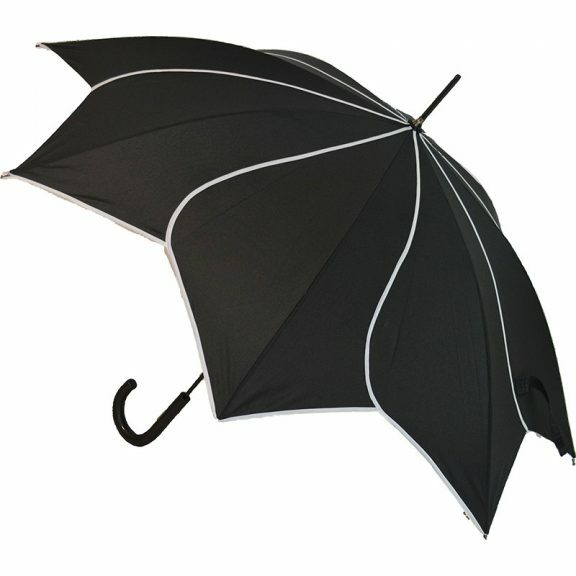 The black Petal Swirl Umbrella with crisp, elegant lines is something new and a little different, while still totally practical. 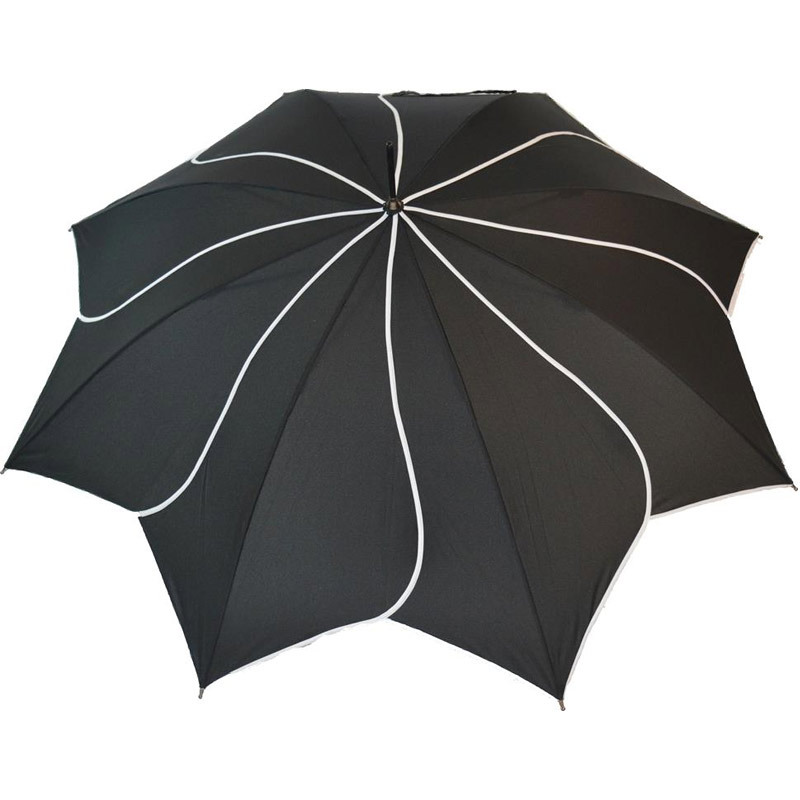 This beautifully made and extremely stylish, full length ladies umbrella features a striking white swirl trim on each panel, picking out the pretty flower petal shape of the canopy. 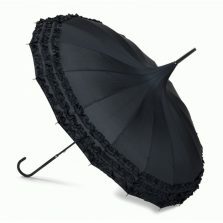 Despite the dainty, slightly vintage appearance, this petal umbrella is a pretty tough cookie. This black flower petal umbrella is fully automatic opening and has a strong black steel shaft and frame, light, flexible fibreglass ribs (designed to bend rather than break in the wind) and a fine black leather effect crook (or “j”) handle. It’s 89 cm long with a canopy width of 106 cm. 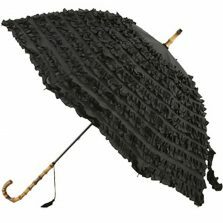 The black Petal Swirl umbrella is perfect for everyday use or special occasions and can be paired with most outfits. Go ahead – why not treat yourself to one of our new Petal Swirl Umbrellas or give one to someone special? Not the right umbrella for you? 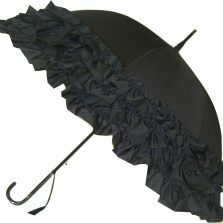 Check out the rest of our range of flower umbrellas!